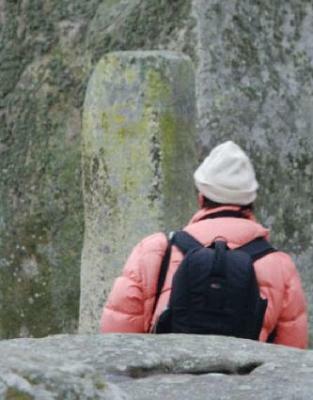 The Turner Prize-winner Jeremy Deller will be creating a plastic version of the mysterious stone monument as part of the city’s International Festival of the Visual Arts. The work will be entitled ‘Sacrilege’, and will be revealed in Glasgow later this week, but will ultimately be transported to and displayed in London for the Olympic Games. 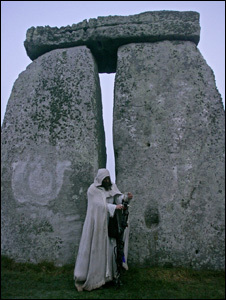 It will be Deller’s first major public project in Scotland, and promotional images online show a walker standing in front of a carved pillar of stone. The 18-day Glasgow International Festival of Visual Art, opening on Friday (20 April 2012 – 7 May 2012), is now in its fifth edition. Showcasing work by more than 130 artists across nearly 50 of Glasgow’s best permanent and temporary exhibition venues, the Festival will bring together exhibitions by the best international and local artists. Directed by Katrina Brown, the programme will feature a series of newly-commissioned works that draw on a range of disciplines, including visual art, dance, film, music, performance and theatre. Wolfgang Tillmans, winner of the Turner Prize in 2000 – the first ever photographer to win the award – will be staging his first solo exhibition in Sotland since 1995. The show will feature an exemplary range of Tillmans’ practice which over the past two decades has been thought to have redefined photography. First recognized in the early 1990s for his intensely affecting and unconventional images of friends and other young people in his social circle, he has developed a highly developed style of image making that encompasses a broad range of subjects and includes a powerfully unique presentation. In 2009 he was awarded the Kulturpreis der Deutschen Gesellschaft für Photographie. Other highlights include the largest show to date in Scotland by Glasgow-based 2011 Turner Prize contender Karla Black, who will exhibit a series of new major sculptures in the grand ground floor of the Gallery of Modern Art (GoMA). The Festival will also see the first exhibition of works on paper by Glasgow-based 2009 Turner Prize winner Richard Wright at Kelvingrove Art Gallery and Museum. As the sun goes down over one of Britain’s most iconic World Heritage sites, French outdoor alchemists Compagnie Carabosse fan the flames of our imaginations with an elemental Fire Garden. 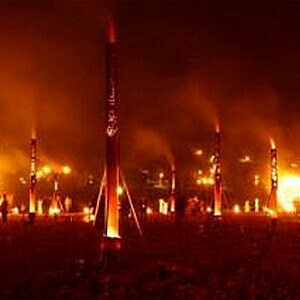 environment where fire sculptures dance in the landscape, mysterious fiery engines illuminate the stones and flaming fire pots and cascades of candles line the pathways. The experience promises to be a highlight of the London 2012 Festival, a 12 week UK-wide celebration in the summer of 2012 featuring leading artists from the UK and around the world. The event will run in the evenings from Tuesday 10th July to Thursday 12th July 2012. Spend 30 minutes or an hour one evening and enjoy this gloriously atmospheric feast for the senses. Carabosse have staged their striking installations across Europe. Each event is unique to its specific location, and here they ignite their creative spark to create a remarkable moment in the historic Wiltshire landscape, especially presented by Salisbury International Arts Festival. As the event runs, visit our website to see the project celebrated on a digital platform. Fire Garden at Stonehenge and to register your interest for future updates. Those registering interest will receive regular e-mail updates from Salisbury International Arts Festival about the event including announcements of the on sale date in 2012 and ticket information. The London 2012 Festival, 21 June – 9 September, will celebrate the huge range, quality and accessibility of the UK’s world-class culture, and give the opportunity for people across the UK to celebrate the London 2012 Olympic and Paralympic Games. For more information on the programme which spans music, theatre, dance, visual arts, literature, film and fashion, visit http://www.london2012.com/festival. 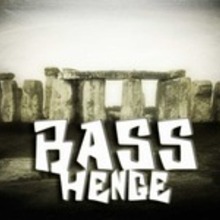 The decision does mean, however, the public will not be able to descend on Stonehenge to see the once-in-a-lifetime moment it is carried around the Neolithic monument. A spokesman for English Heritage said that they had been informed by the Olympic organisers that the torch would be driven to Stonehenge and back again early on July 12, before it is scheduled to leave Salisbury Cathedral, for a photocall. 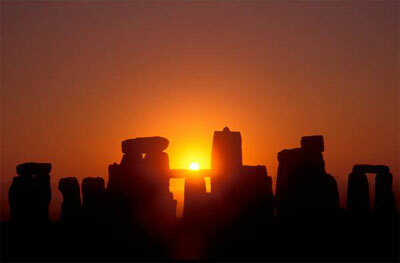 “Rest assured the opportunity to have the Olympic torch at Stonehenge is not going to be missed,” said a spokesman. The National Trust has also confirmed that the torch is due to be carried up to the top of Glastonbury Tor on Tuesday May 22 – again not as part of the published route, which merely suggests the relay will pound the streets of the town. 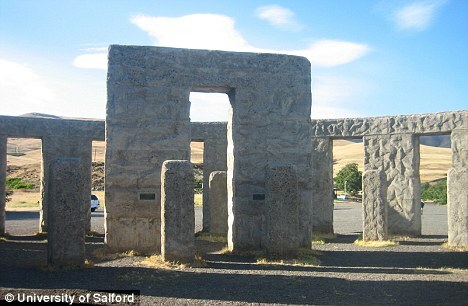 But it appears there is not such good news for another of the West’s historic sites. 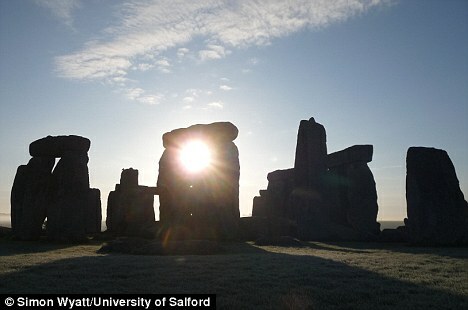 The next day, on Wednesday, May 23, the torch is travelling from Bristol to Gloucester via Wiltshire, but it appears there are no plans to stop at the Avebury stone circle.